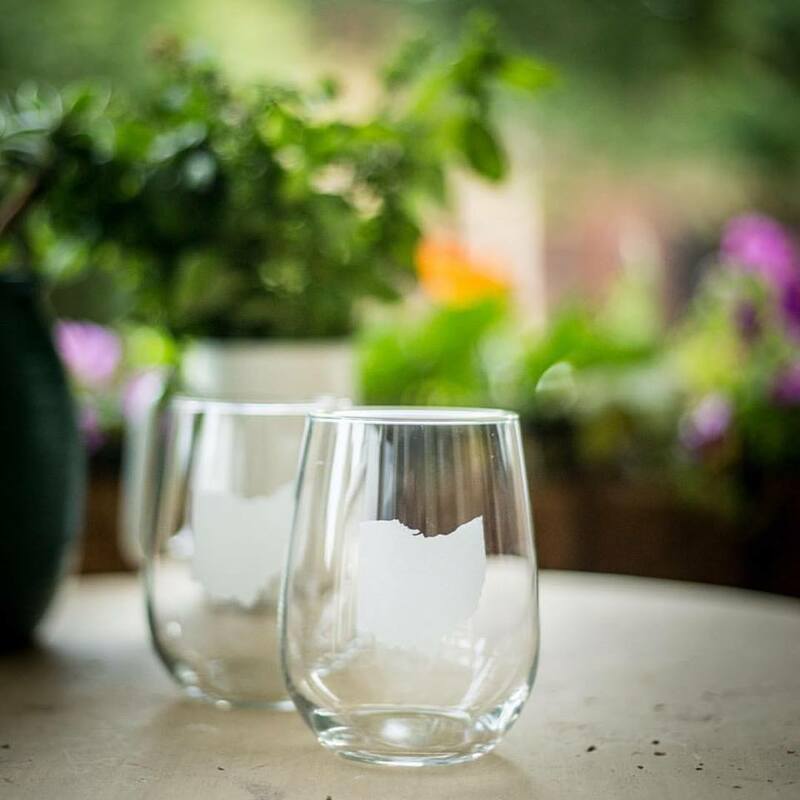 Stemless wineglass with the state of Ohio. $12. 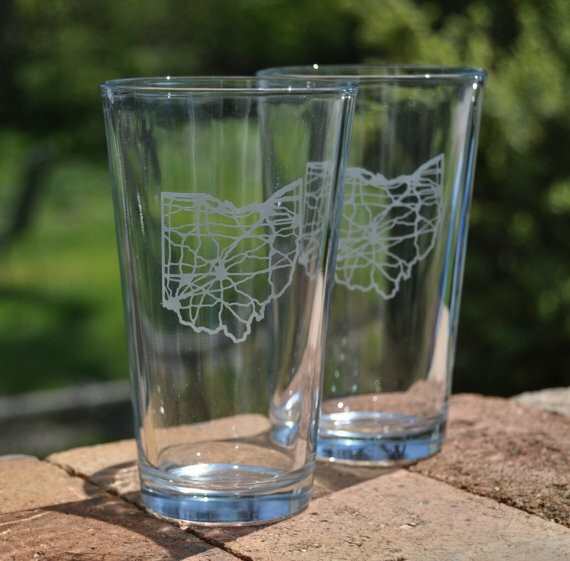 Pint glass with the roads of Ohio. $14.